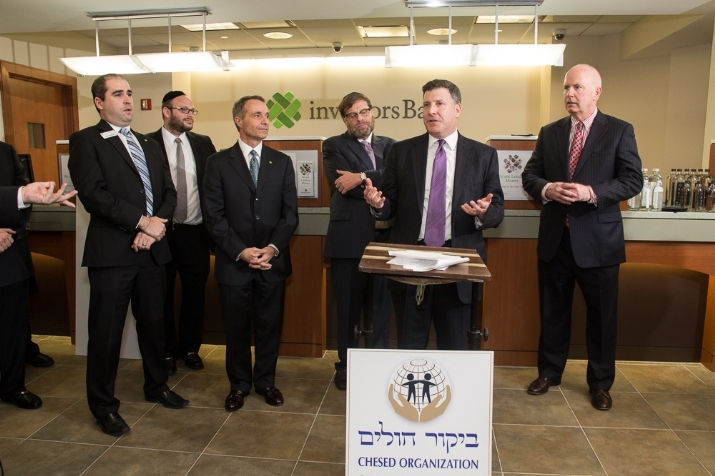 Community leaders and elected officials came together to celebrate the partnership between the Bikur Cholim Chesed Organization and Investors Bank. 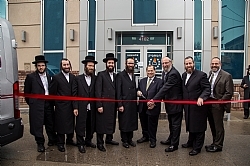 The celebration attracted prominent elected officials including: Brooklyn Borough President Marty Markowitz; Manhattan Borough President Scott Stringer; Councilmembers Brad Lander, Mark Weprin and Jumaane Williams who were all warmly welcomed by Bikur Cholim CEO, Rabbi Avi Fishof. 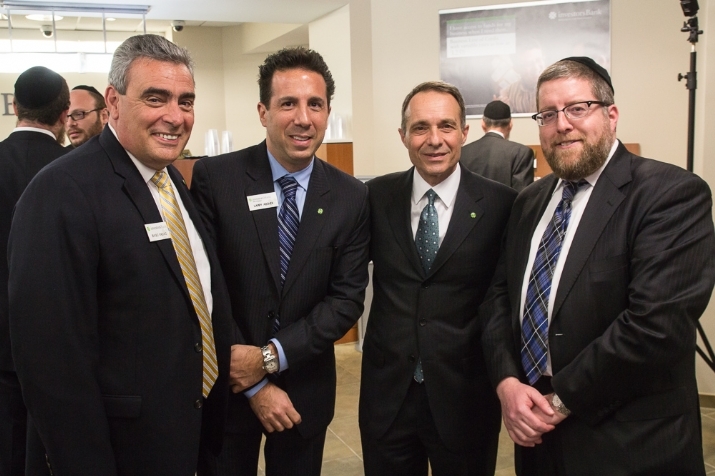 Investors Bank has established a presence in various Jewish communities by providing a stellar array of banking services in ways that once defined traditional banking, but over the years have been overtaken by an impersonal "once size fits all" banking experience that has resulted in disappointed consumers and communities. In an era of government cutbacks and shrinking budgets, non for profits need to be innovative in their approach to raising capital, constantly seeking out new sources of funding. 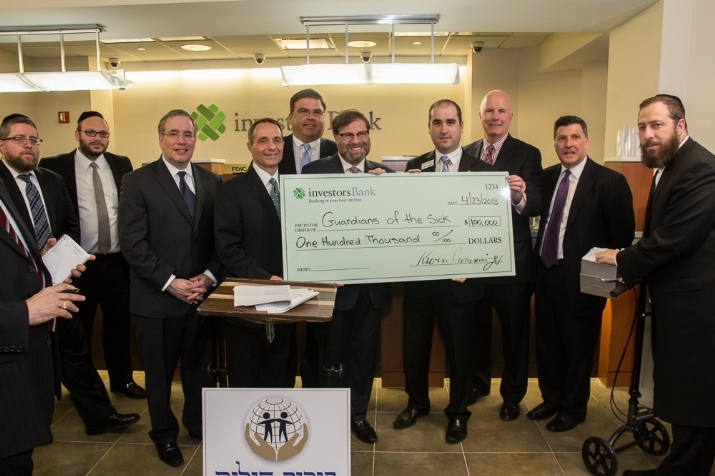 Hence the partnership between Bikur Cholim Chesed Organization and Investors Bank that has been heralded as a new era of philanthropic engagement. Bikur Cholim Chesed Organization/Guardians of the Sick, is devoted to easing the burden of those less fortunate in our community. Patients in need of financial assistance, dysfunctional families, disadvantaged children, the elderly and those requiring medical equipment are all helped with compassion and understanding. Through its many programs, Bikur Cholim Chesed Organization strengthens the fabric of life within our very own community. 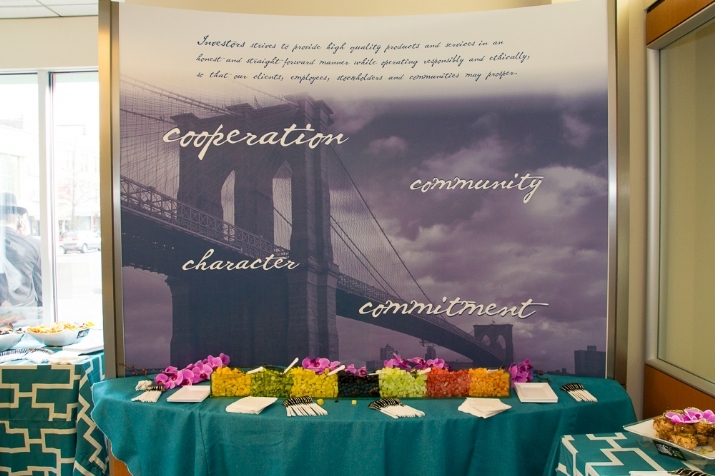 "I would like to express our deepest appreciation to Investors Bank, and to its President and CEO Kevin Cummings for creating a corporate philosophy that values partnership with community based organizations that provide a social safety ne" said Avi Fishof, CEO of Bikur Cholim. In response, Mr. Cummings reiterated his strong belief that in the strong fabric of the Jewish community and pledged further support of community based organizations.